Lee thinks A Star Is Born will be the talk of the Oscars and take some home for sure. 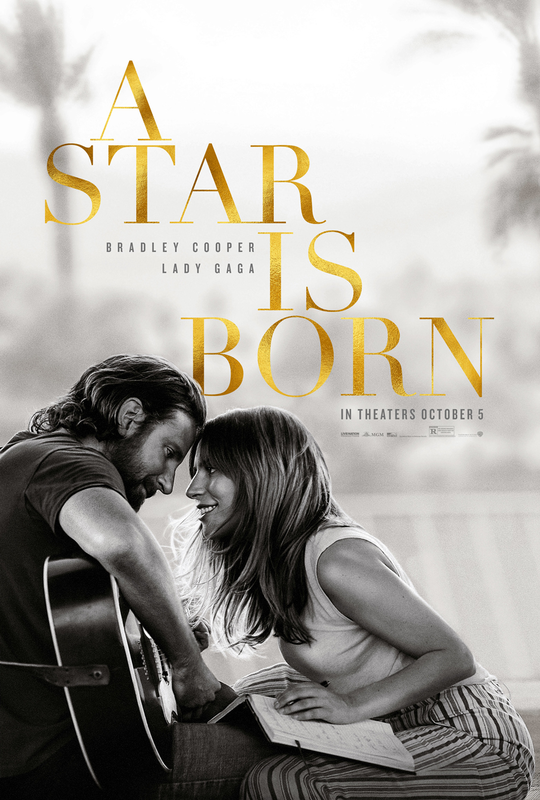 Join us for a discussion of Bradley Cooper’s version starring Lady Gaga and comparing it to previous versions. If you can, watch some of those too: I just watched Kris Kristofferson sizzle in the Streisand version. Movie Club at Prairie Path Books has garnered consistent “WOW, we LOVED that!” feedback, so if you haven’t been, you simply must - no matter which aspect of cinema you love: characters and casting, production, cinematography and art direction, storyline and screen adaptation, or behind-the-scenes deets and Oscar buzz -- Lee will deliver dazzling insights and answer any questions you have. For Movie Club you watch the movie on your own and come over to discuss it, like a Book Club. longer but we love it).